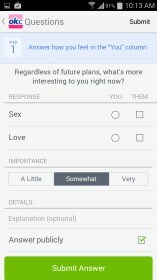 OkCupid Dating – Soft for Android 2018 – Free download. 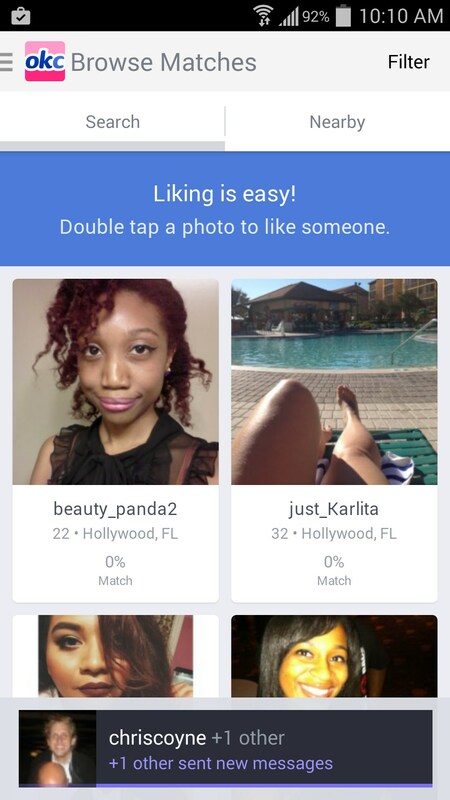 OkCupid Dating – A dating app that feels very similar to the rest, but it is OkCupid after all. 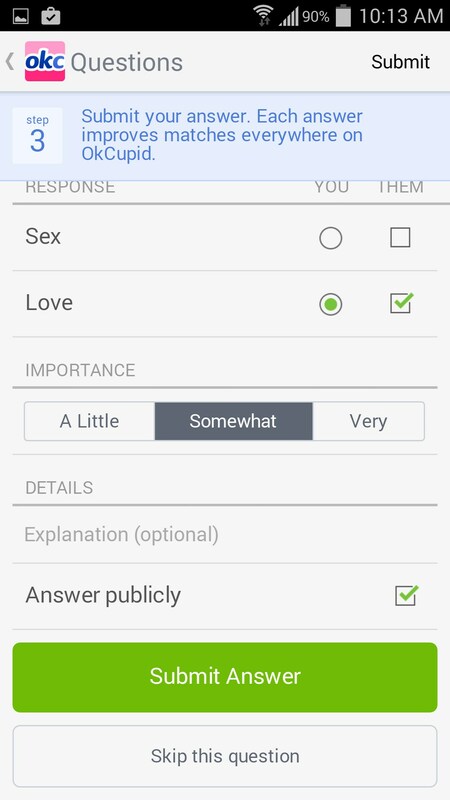 OkCupid Dating for Android is another dating app on the play store that attempts to match people together. 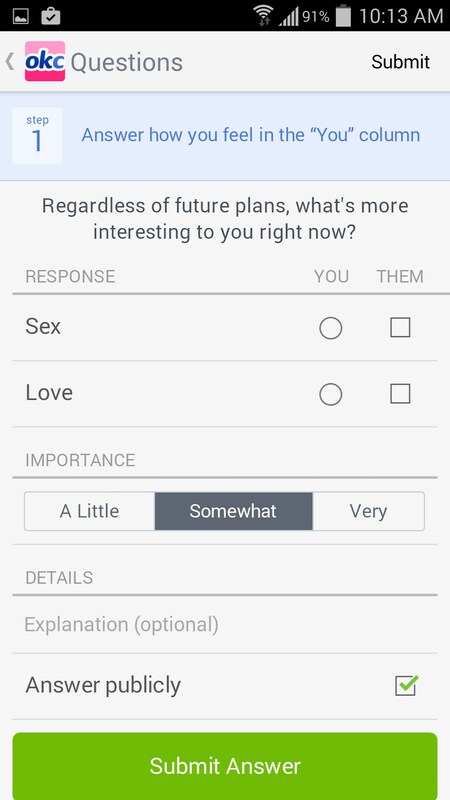 This app is a little different, as you fill out an in depth dating profile that includes your preferences and information about yourself. When you have done this, you are assigned matches and then you can talk to those matches by messaging them. 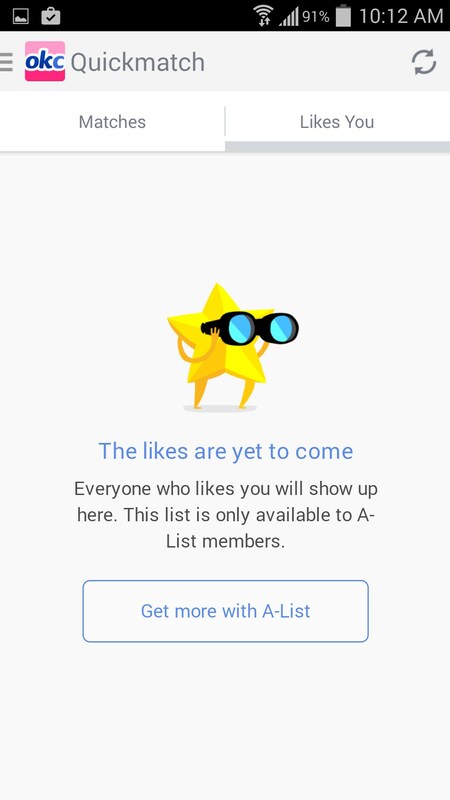 The app does have various people to scroll through and “like”, which is similar to a lot of the dating apps on the play store. OkCupid was one of the first pioneers when it came to free dating years ago, and it looks like its still plugging along. If you've used one dating app, you’ve kinda used them all. Sure there are slight variations in how you find other users, and the process is often different as well. 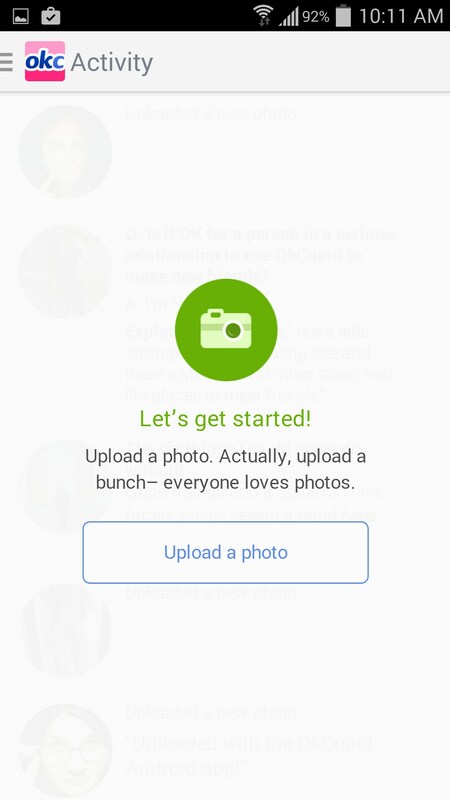 OkCupid feels very polished in that the process is very user friendly. It guides you to create a very extensive profile every step of the way, (so much so that you can’t even look at the activity tab till your long profile is sorted out; in order to find matches of course). 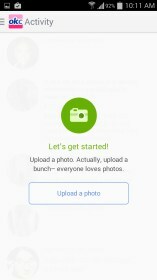 It has standard tabs on the side of the app like activity, matches, quick match, messages, visitors, and history. 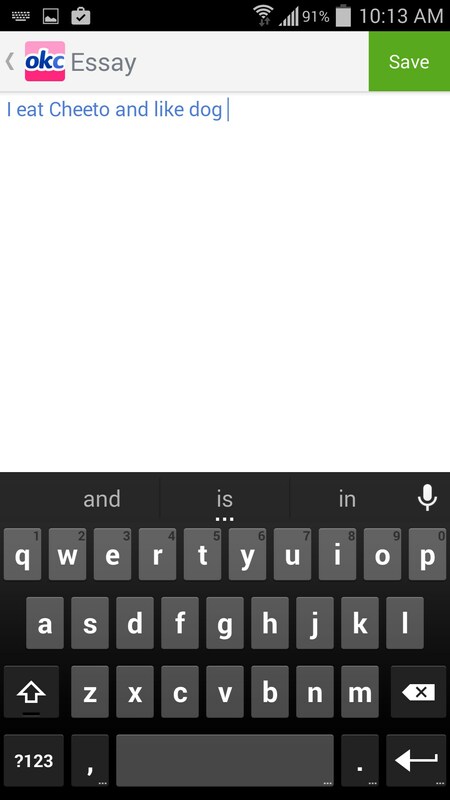 The app has a refreshing lack of clutter as there aren’t any ads, and the interface remains simple and usable. The history feature is also neat to see past profiles you have checked out. 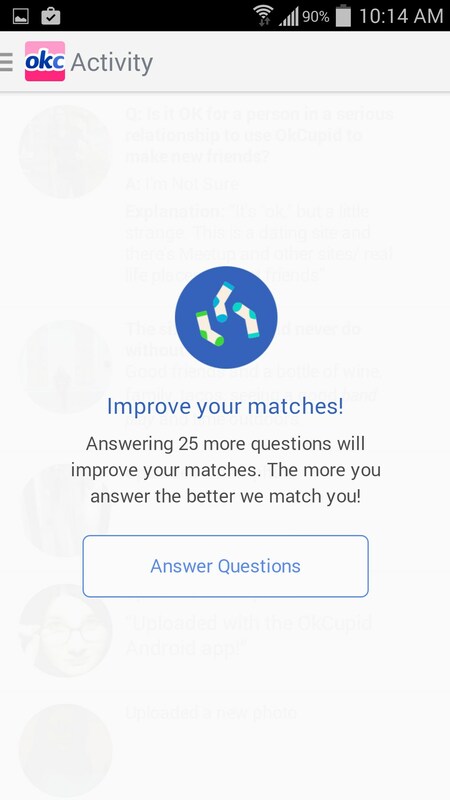 I couldn’t really tell how useful Quickmatch was, but it's a similar process to other apps as it has you liking other users and notifying you if there’s a match; that is, if they liked your picture back. 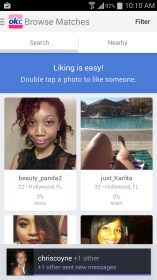 OkCupid is a good choice if you are looking for a dating mobile app with a strong internet website background and large userbase. 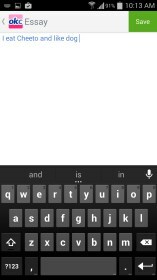 You will find a lot of users within this app, and if you take the time and determination to make a full fledged profile, you might find some good results. What do you think about the app? Can you catch the rabbit?